“You gonna jumpstart me? I assure you, I don’t need a jumpstart” CREATUS ROGUE ~ New Release! If you haven’t read Book One in the Creatus Series, you can find more information, check out some of the reviews, and read a free sample on Amazon. Or, you can read two deleted scenes and the first chapter without leaving my website here. around to his side again. going to be killed, he sure made an awful lot of jokes. If you’ve read Creatus Book One, I’m sure you know these two characters. I hope you enjoyed the excerpt I chose and will look forward to their story. In the meanwhile, please get me those cover ideas. Y’all did an awesome job last time, so let’s do it again! Look for Creatus Rogue this Valentine’s Day! Cover Reveal and Excerpt for CREATUS ROGUE ~ WIN this New Paranormal Romantic Suspense! I love when my covers resemble a scene in my books because as a reader, I get excited when I get to that part. Although the excerpt I chose may not be the exact scene, it was an easy one to share as I don’t give away too many details of the story. I hope you enjoy! If you haven’t read Book One in the Creatus Series, you can find more information, check out some of the reviews, and read a free sample on Amazon. Deciding she needed exercise, she took the stairs to Derrick’s rooftop. stories lower than this one. Luckily, she’d worn dark jeans and a black tank beneath her coat, so she didn’t stand out against the ink-black sky. and she’d been trying to find Michael—the night she met Reece Buckley. making her way back to her car. If you’ve read Creatus Book One, I’m sure you know this character. I hope you enjoyed the excerpt I chose and will look forward to book two. 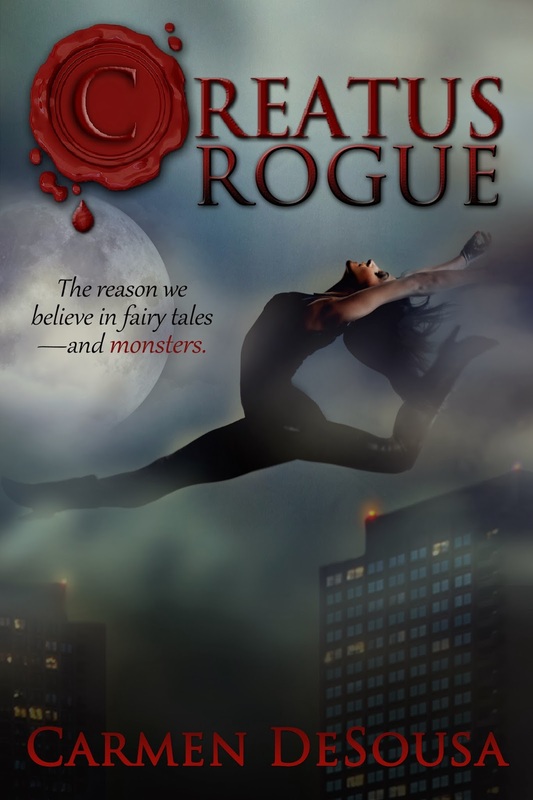 Register to win one of 25 copies of Creatus Rogue this Valentine’s Day here! Feeling her gaze burning through him, he cast a glimpse in her direction. “You’re…real,” she finally sputtered, a quiver in her voice as she touched his arm. Huffing out a chuckle at her words, he attempted to contain the nervousness of her accusation, as if she’d discerned there was something unusual about him. He didn’t look any different from any other twenty-eight-year-old male. Creatus is a new paranormal romantic-suspense novel that answers the myths and fairy tales you’ve heard about preternatural sentient beings. 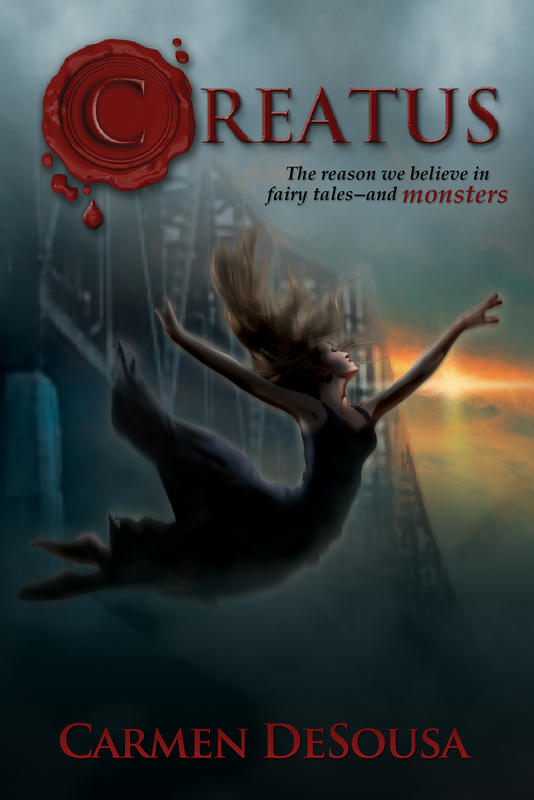 Creatus, the reason we believe in fairy tales–and monsters. In my new novel, for the first time ever, I deleted the prologue and the first chapter and jumped right into the story, but I do love prologues, as I know many of my readers do as well, so I couldn’t part with it. Instead, I’m going to give you a first peek at my new novel, and a little insight to the above scene. I hope you enjoy. Without giving away anything about my new series, as that is part of the pleasure of reading a new book, I’d like to share with you what Creatus aren’t instead of what they are. And why I felt the need to share their story. I enjoy reading almost all genres, but one of my favorites is a little-known genre called magical realism. I love when an author can take normal characters who live and work among us, but then give me insight on what makes their character special and why they have a story to tell in the first place. Whether it’s about psychic abilities, soul changing, or even paranormal activity, the key for me is that it’s believable–or at least plausible in some sense. Since the beginning of the written word, storytellers have shared myths about supernatural beings. However, over the centuries, these supernatural beings have morphed into tales of vampires, werewolves, and superheroes that are so outlandish I find it hard to pay attention, let alone believe. Don’t get me wrong; I still enjoy a well-written story about vampires and mythical creatures, but I crave a reason to believe. I want some reasonable basis for the story. The idea of a person shifting into an animal form that’s ten times the size of its human form, or a person having the ability to fly without the required body mechanics, makes little sense to me. But, I can’t discount that since biblical days, stories have amassed about sentient beings with superhuman strength. Thank you for stopping by my place and reading my musings. Remember these are just my opinions and shouldn’t be taken too seriously. If you have questions, please feel free to leave them in the comments, and I promise you I will answer. If you’re curious about what I write, please visit my author page, where you can read all about my novels and short stories. Creatus is a new romantic-suspense novel with a supernatural edge that answers the myths and fairy tales you’ve heard about preternatural sentient beings. In order to spread the news, we are also giving away a $50 gift card! In order to qualify, just paste the URL of this post into the Raffle Copter and share via Twitter. You can enter once a day.